Traditional stoves are big, heavy and hardwired into the home. Once in place, they rarely, if ever, move throughout the lifetime of the kitchen. But urban living spaces are getting smaller, and homeownership in many cities is on the decline. Appliances like the Instant Pot, the Thermomix, dedicated coffee makers, rice cookers and Sous Vide equipment are changing the way how we prepare our food. Reacting to these changes in consumer behaviour, Fabita, an Italian kitchen hood and induction hob manufacturing company known for their modern and stylish design, hired Davide and Gabriele Adriano of Adriano Design to rethink the traditional hob. The result is beautiful and revolutionary. 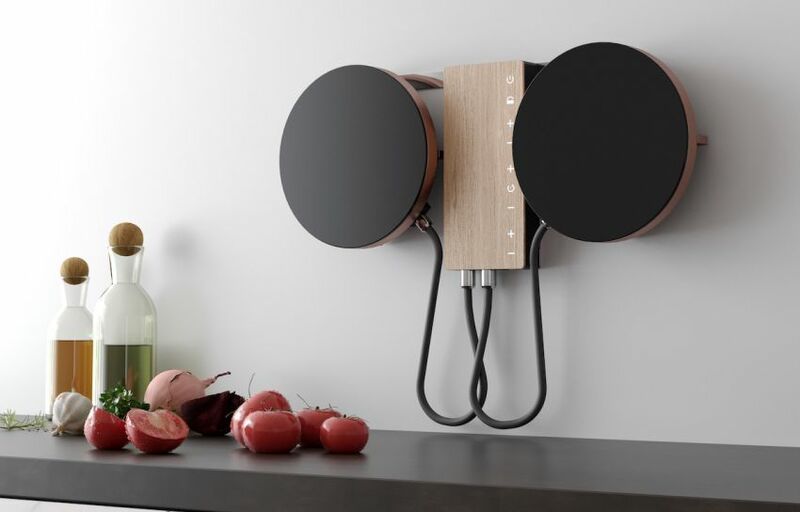 Two, or more, induction hotplates hang from the wall when not in use, freeing up counter space. When it comes to cooking, only those cooktops that are needed are utilized. An added benefit is that the space between the hot plates is flexible, allowing for both big and small pots. Take a look. Could you see yourself replacing a big old hob with this sleek alternative? For more kitchen tech reports and news you can use from the food industry, we invite you to browse our blog.